The ceiling fan consists of separate parts which when assembled, work to circulate the air in a room to create a breeze and improve air circulation in a room. The fan works by converting electric energy to mechanical energy through electric wires. Ceiling fans are connected to the control switch or a remote box on the wall through electrical wires that go through the ceiling. The fan is mounted on the ceiling and held on the ceiling with the help of a mounting device. By switching the power on, or with the use of remote, will set off a chain of reactions that cause the blades of the fan to rotate. Visit our blog section to learn more about installing, maintaining, and choosing the correct ceiling fan. The series of events begin with the capacitor pumping up the motor which causes it to start up. The electric current in the motor causes the metal coils within it to rotate and spin. The coils are wrapped around a metal base, and as they spin a magnetic field is created. The magnetic field then produces a rotating force, either in a clockwise or counter-clockwise direction. This motion is then transferred to the metal arms and consequently to the blades which begin to rotate. The movement of the blades will eventually cause the air in the room to circulate. Warm air tends to rise, as it is less dense than cool air, and the ceiling fan takes advantage of this principle. The rotating blades cause the warm air to move from the upper levels of the room to the lower levels, and this continuous process serves to distribute the air evenly in the room. When the weather is hot especially during summer, the ceiling fan should be set to rotate in a counter-clockwise direction. This motion causes the hot air from the ceiling to be pushed down, and as it moves down, more warm air rises to the ceiling which eventually causes the air in the room to circulate producing a cooling effect. During winter the blades of the fan should be set to rotate in a clock-wise direction. By rotating in this direction, an upward draft is generated, and the cool air in the room is drawn up to the ceiling while the warm or hot air that is up is pushed down causing a warming effect in the room. The use of the ceiling fan can help reduce your energy bills during winter because you can lower the temperature in the room with the thermostat. The decision to purchase a ceiling fan should be based on a few considerations. It is advisable to select a room that is frequently used and which is generally warm throughout the year. 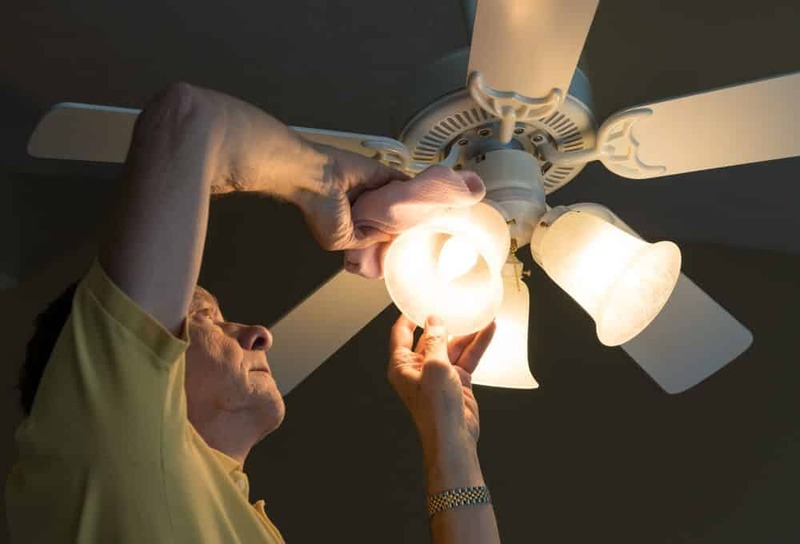 This will ensure that the fan will operate where people spend most of their time while in the home and will therefore make the fan more useful. A warm room means that the fan will have plenty of warm air to circulate, whether in winter or summer. The size of the room will also determine the type of ceiling fan that should be installed. Large rooms with high ceilings would need a fan with a down rod, to lower the level of the fan from the ceiling. Often the manufacturers’ instructions can help you match the size of the ceiling fan to the appropriate size of the room and height of the ceiling. Ceiling fans usually come with lighting, and this can be a great way to add the light in a room. 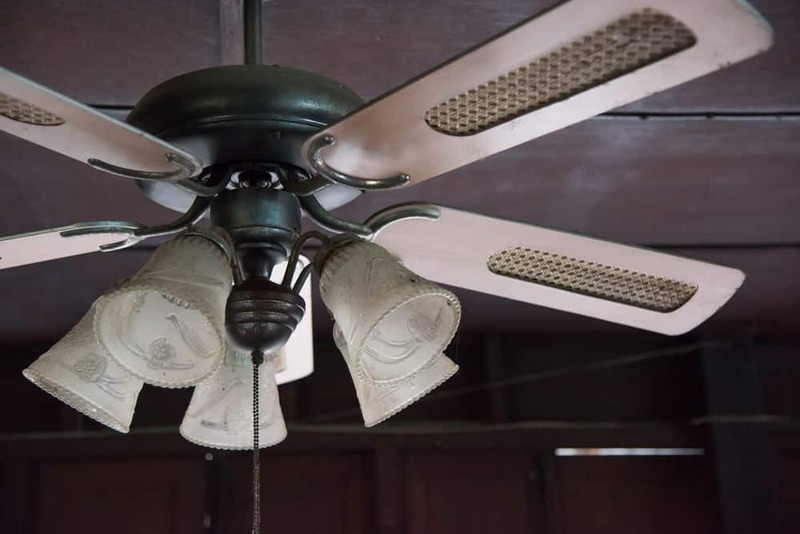 The ceiling fan can be used during winter and summer it is therefore important to purchase one that allows the user to change the direction of the blade rotation. This will help you switch the fan to the desired settings depending on the weather. The speed at which the blades rotate is equally important, and the fan should have these settings. For example, regulating the speed will allow you to create a cool breeze depending on the temperatures outside. Choose a ceiling fan that matches your style in terms of home furnishing and that enables you to have different settings in order to create an efficient flow of air in the room as well as helps you save on the energy bills. Ceiling fans need constant care and maintenance to ensure that they keep working efficiently. The fan should be kept free from dust by dusting it at least once in a week. This is because dust can damage the fan if allowed to accumulate. You should also check that the screws and bolts are tightly in place, any noise from the fan is usually an indication that there are some loose parts in the fan. The fan should also be lubricated from time to time to ensure that the moving parts move without resistance. The lights on the fan serve as illumination and aesthetics in a room. They should be regularly washed in warm soapy water. The ceiling fan has been around for many years but is still effective as it helps us cool down during hot summer days and helps us keep our rooms warm during cold winter days. It offers a simple and easy way to regulate the room temperature while allowing us to add some character and beauty to a room. Once you understand what are the main parts of a ceiling fan and how they work, you should be able to go and choose the best ceiling fan available for you as well as being able to get the most out of your unit. Additionally, you should always carry out proper maintenance to maximize your cooling/warming experience.